The ore deposits of the canyon seemed promising, but were largely a waste. Prospectors traveled from far and wide, making their way west with news of the Gold Rush. Some stopped by the canyon to investigate, seeing if there was untapped potential. 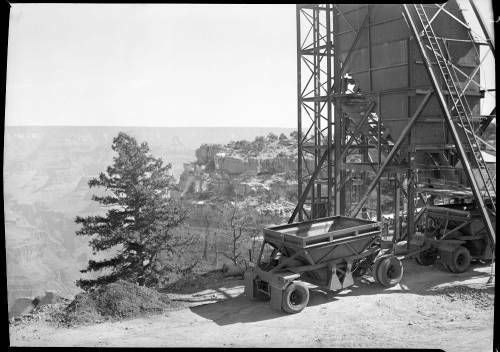 While it is true that there are lead, copper, and asbestos are all present in the canyon, water is too scarce and the minerals are too deep in the canyon to make extraction and shipment worthwhile. 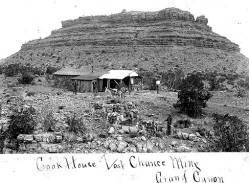 After the designation of the Grand Canyon as a national park, almost all mining claims had to be dropped anyway. A new resurgence occurred from the 50s through the 70s when uranium ore was found in breccia pipes throughout the canyon. Prospectors scrambled to harvest the ore legally and illegally. As of the end of the 2000s, thousands of mines are scattered across public and tribal lands. The Secretary of the Interior put a ban on creating new uranium mines on a million surrounding acres of the canyon. This was to study potential impacts the mines have on the ecosystem. Studies have shown the mining can cause radioactive elements and toxic heavy metals to pollute the air and grass that the cattle then ingest. Animal byproducts are then contaminated. Cancer rates of native peoples are highly disproportionate to general cancer rates and 60-80% of uranium mines are located on tribal lands.